Gaming’s most mature and open-ended platform continues to amuse and confuse gamers of all types. Though the allure of more stable hardware and the potential profits of mass market design have seen many publishers and developers shift their efforts to the various consoles, the PC continues to push the boundaries of innovation and presentation in the industry. Some might take issue with that statement, particularly given how many times the number ‘2’ shows up in the list of titles we’re most looking forward to this year, but when you’re talking about sequels to some of the greatest games of the last few years, complaining about a sequel is ridiculous. 2010 has something to offer every PC gamer, from deep RPGs to frantic shooters to a number of exclusive strategy and MMO games. Some merely extend the enjoyment of last year’s best games, like Empire Total War or Dragon Age: Origins. 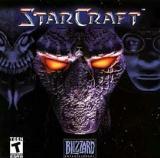 Others resurrect dormant franchises such as StarCraft or Aliens vs. Predator. And while there’s no shortage of sequels this year, we also have the opportunity to see a few new games, most notably THQ’s Metro 2033. Digital publishing has strengthened the independent scene as well, giving designers with great ideas a way to avoid the compromises and constraints that sometimes come from working with major publishers. These titles generally don’t enjoy much pre-release visibility, but you can always count on at least a few surprises coming our way and catching on every bit as much as Plants vs. Zombies or Crayon Physics Deluxe did in 2009. But there are a number of big titles we’re not going to see in 2010. EA dropped another investor call bombshell by announcing that BioWare’s Star Wars: The Old Republic won’t be out until 2011. The same is true of Blizzard’s hotly anticipated Diablo III and, presumably, the other two titles in the StarCraft II trilogy. You also won’t find ArenaNet’s Guild Wars 2 on this list, because that’s been pushed back too. Still, with all the good games coming out, and the possibility of an Old Republic beta, there’s plenty for PC gamers to be happy about. Overview: Taking players to the planet BG-386, Aliens vs. Predator tells the story of human colonists that discover an alien pyramid and unknowingly release the deadly creatures trapped inside. The game features unique single player campaigns from the perspective of all three races, with a plot that ties the three species together. The game also features three-way online multiplayer, where you can hunt opponents as any of the three classes in a brutal deathmatch across the planet’s surface and through claustrophobic corridors. Overview: The sequel to Ubisoft Monteal’s exciting action game ups the ante in almost every respect. Players will once again delve into a past life as a skilled assassin, this time taking in the unique sights and sounds of Renaissance Italy. As Ezio, son of a prominent family caught up in a confusing and challenging controversy, players will have to negotiate the rooftops of Florence and the canals of Venice seeking vengeance while avoiding exposure. The appeal of the core gameplay is as strong as ever and a host of improvements make the game much more enjoyable than its predecessor. Overview: B Company returns in EA’s second offering of the newly revitalized Battlefield world. Combing through dense jungles, war-torn villages and ice-capped mountaintops, players will take to the field in the industry’s biggest vehicular warfare title to date. All new multiplayer modes debut, bringing back not only the gold rush mode from the original Bad Company, but also a more traditional take on Battlefield warfare. Overview: The underwater world of Rapture was the setting for one of the best modern games. Then things changed. The sequel was announced, but no longer was Irrational Games handling development. Instead, BioShock 2 was handed to newly formed 2K Marin, which included a few staff members that had traveled over from Boston, where Irrational is based. The new game takes place roughly 10 years after the original and follows along with a new story. You play as a Big Daddy this time and come across a range of new weapons, abilities, and enemies. Now you can have weapons and plasmids at the ready simultaneously, allowing you to dish out punishment more rapidly, and more effectively combat some of the deadlier foes walking around. Overview: The final installment of the Kane saga in the Command and Conquer Tiberian series is also destined to be the most far-flung from the previous games in the series. Whereas C&C was always about ensuring the total destruction of your opponent, Tiberian Twilight has gone the way of Dawn of War, and players are now tasked with controlling strategic locations, in order to gather points long enough to win a match. Base building and resource management are also being heavily de-emphasized, with tiberium being harvested at predetermined nodes with player-built constructions a la the oil derricks in previous C&C games. Overview: The latest downloadable content pack from BioWare brings players back to the site of Ostagar, where Ferelden’s king was slain and the Grey Warden order nearly fell. Discovering a survivor of the conflict, players must seek their revenge and try to recover the armor and weaponry of King Cailan. Players also discover the lost agenda of the king, and fight their way behind enemy lines in an attempt to reclaim the infamous site. Overview: The first expansion pack for Dragon Age: Origins, Awakening takes players to a new section of Ferelden, where they’ll uncover a new threat – a more intelligent and dangerous breed of Darkspawn, plus even scarier monsters, like the Inferno Golem and Spectral Dragon. Players can import their characters from Dragon Age, or experience this adventure through the eyes of a new Grey Warden. Awakening will also raise the level cap of characters and provide new abilities, spells and other traits to make your heroes even more legendary. Overview: The 14th installment in the most widely known RPG series, and the 2nd online Final Fantasy. Few details about the game have been revealed, although some broader features are known. There are currently five known races that look like a blend between the FFXI and FFXII characters. Players will not be restricted to a single class or profession – instead, their skills are dependent on the gear they have equipped. There will also be a system of items that allows players to break certain rules, like talking to opposing factions. 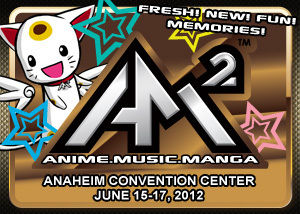 It’ll be available on both PC and Playstation 3 when it eventually launches at some point this year. Overview: With the second Left 4 Dead safely in the hands of gamers, it’s sure bet that Valve will be moving on to the next big thing. Based solely on the evidence that Valve has released a new episode once every two years since the original Half-Life 2 was first released in 2004, we’re hopeful that Episode 3 will find its way onto our hard drives at some point this year. We don’t know much about it, but we do know that the company recently hosted a focus group to better understand sign language. Whether this is research for the story or a new gameplay concept remains to be seen. Overview: We all remember the racing circuit part of the first Mafia, right? Such an incredible game with great writing, a powerful story and characters, stylish third-person gunplay, unmatched atmosphere and thematic cohesion, stunning visuals (at the time), and then you got to that damn racing circuit and it all came crumbling down. Then you got past it and it was like a clear sunrise after a hurricane. With the sequel, it’s February in 1945 in Empire City, and you’ll follow along with a decade in the life of mobster Vito. Like before, Mafia II will be an open world game mixed in with story-focused missions that mix third-person combat with driving sequences. Overview: With the possible exception of StarCraft II, there’s nothing in the entire catalog that’s as popular as Mass Effect 2. BioWare’s long-awaited second chapter in the sci-fi RPG trilogy delivers in every area. The story is amazing, the combat is thrilling, the characters are compelling and the adventures are consistently engaging. Nearly everything that we loved about the first game has been improved here, which would be more than enough to justify its place on our list. But BioWare goes one better by building in so many layers of meaning from the first game that you simply have to keep playing in order to find out what happens next. Overview: Based on the novel by Russian author Dmitriy Glukhovskiy, Metro 2033 is set in a future world where humanity has almost been destroyed by incredibly high levels of radiation. The few remaining survivors camp out in the Moscow subway system, constantly besieged by threats from mutated creatures roaming the countryside. Players explore this devastated wasteland, hoping to reach the stronghold of Polis before the monsters destroy the settlements. Only your skill with makeshift weapons and scavenged gear will help you survive long enough to potentially rescue humanity. Overview: The Total War expansion packs have always favored invaders. From the Mongols, to the Vikings, to the Barbarians, the series has leveraged some of the most prominent bogeymen from across human history. Napoleon himself was one of the most infamous imperialists the world has known, so he makes a great subject for this extension of the Total War franchise. Much like the Alexander expansion to Rome, Napoleon is tightly focused on the glorious career of a single commander and follows his exploits in a series of mini-campaigns from his early days in Italy to his final defeat at Waterloo. Overview: After an attempt at something different was received with mixed criticism, Ubisoft Montreal has returned to the safe money and gone with another Prince of Persia in the technically concluded Sands of Time series. The Forgotten Sands takes place after the extremely successful Sands of Time (but before the disappointing Warrior Within), where the prince visits his brother’s palace only to find it besieged by a mighty army. The press release touts that it will “feature many of the fan-favorite elements from the original series as well as new gameplay innovations” – namely some control over the forces of nature. Overview: A new action title from id Software, Rage is a post-apocalyptic first-person shooter that includes racing sequences, vehicular combat and RPG elements. Set after a giant asteroid crashes into Earth, players attempt to explore this devastated world, discover what happened to the rest of humanity, and survive the lawless threats that roam the land. In an open-ended but directed story, players will be able to pick their path through mutants, raiders and other hazards that want to destroy everything in front of them. Overview: The fifth entry in the stealth-based series, Sam Fisher returns in a story that rewrites all previous ideas in the franchise. While investigating his daughter’s death, Fisher discovers that his former agency, Third Echelon, has betrayed him. Abandoning their orders, he continues on his own mission, and discovers that he must defeat a terrorist plot that could kill millions of people. Players will use a new assortment of weapons and espionage skills to defeat their enemies in this dangerous new world. Overview: It was nowhere close to a sure thing that the first STALKER game, called Shadow of Chernobyl, would even be released. After years of numerous delays and shifting gameplay features, GSC Game World finally shipped the game in 2007, to the surprise and delight of many. Though it was a different game from what was initially promised, GSC had created a virtual space colored by an unmistakable atmosphere and feel. The irradiated setting of the Zone was filled with horrors, from twisted factions to grotesque monsters prowling underground testing facilities. It was as terrifying as it was fascinating, and it’s a property GSC continues to mine. Clear Sky, a prequel of sorts, soon followed, though some of its half-baked systems made for a game that wasn’t as well received as the original. Now, with Call of Pripyat, the story continues after the events of the original. Overview: The first officially licensed massively multiplayer online game based on the Star Trek franchise, Star Trek Online aims to recreate the experience of being the captain of a starship in an episode of the fiercely followed sci-fi series. Doing so means combining epic space combat with away-team ground missions, while maintaining an evenly paced story arc and opportunities to set yourself apart from the rest of the budding pilots. Cryptic have opted for a single-server model which should hopefully keep the galaxy alive and active, and should make it a simple task to fly around with your friends. Overview: Very little is known about this sequel to 2008’s “physics-demo-posing-as-a-game of the year”. What is known for sure is that it will feature Starkiller, one or more lightsabers, probably a Rancor, and almost certainly several different iterations of the force. The rest is purely conjecture based on the teaser from December’s VGAs which, funnily enough, featured Starkiller in an arena, fighting a massive tusked beast with two light sabers, next to a dead Rancor. Also he used Force Lightning. Overview: StarCraft II Terrans: Wings of Liberty is the long awaited return of the real time strategy series, and will focus on franchise hero Jim Raynor. They’re expanding the beloved franchise’s universe, including new story elements and characters to discover, plus new units and abilities for returning forces. Players will fight a large number of missions through both Protoss and Zerg forces. Battle.Net will support a robust multiplayer experience. Matchmaking, stat tracking and game replays will help players track and improve their skills. Overview: Few real-time strategy games have managed to capture the real scale of war. Whether in their overall design or their style of presentation, most games tend to focus the player’s attention on a smaller slice of the action. That’s not so with Gas Powered Games‘ Supreme Commander. Combining outrageously large armies with intuitive controls made the first a hit and the second looks to take things even further with more big explosions, high-tech units and everything else that gamers expect. New upgrades and a better balance across the tech trees ensure that the game is as intense at the beginning as it is at the end. Overview: There has never been a grade-A Transformers game, despite the fact that the universe of the Autobots and Decepticons is ready-made for the videogame treatment. Hopefully, War for Cybertron does for Optimus Prime what Arkham Asylum did for Batman – finally provide the complicated hero with a videogame and storyline that befits the power of the mythology. Fan-favorite heroes and villains battle it out for control of the Transformers’ home world in their own unique campaigns, set in the sunset years of the great Cybertron civil war. Developer High Moon describes it as a rollercoaster action game like Gears of War, so expect lots of firefights, big explosions, and even bigger bosses. Was that Omega Supreme we spied in the teaser? Overview: Publisher TopWare Interactive claims vehemently that this sequel will not just be better than the original game, but actually good on its own merits. Flaunting a brand new engine known as Grace, the latest batch of screenshots are indeed quite pretty. On top of the new coat of polish, the game world is apparently larger, and the story much more focused. Players return to Antaloor (which is still under the control of an evil god) but are no longer tasked with trying to rescue their scantily clad sister. Instead, the story unravels around your unlikely partnership with orcs, and your apparent somewhat-demonic powers. 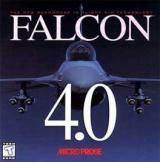 Synopsis: Falcon 4.0 in many ways represents the end of an era. This incredibly ambitious flight sim represents the last effort by a major publisher to develop a huge budget, high fidelity, realistic combat flight simulator. While the game shipped with some teething issues, it has since matured into an incredibly sophisticated simulation, complete with a dynamic campaign and accurate avionics and flight modeling. The eventual release of the source code eventually let fans to modify and refine the game even further, delivering visual updates as well as whole new campaigns. It’s a difficult game to learn, let alone master, but if you do it’s safe to say that this is the closest that you’ll probably get to experiencing life as an F-16 pilot. It’s also safe to say that the odds that we’ll ever see its like again are slim to none. 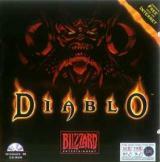 Synopsis: One of the first games to popularize the term “clickfest,” the original Diablo was nevertheless an instantly engaging and endlessly addictive game that set the standard for the action roleplaying games that followed in its wake. Players began as a simple hero in a town that’s being overrun by demons. To fight back the invasion, the player sets out on a quest through a series of randomly created dungeon levels. The enemies you confronted in this game ranged from run of the mill fantasy types to massive demon lords. Each monster you killed not only dropped loot and gold you could use to upgrade your character, but also gave you a bit of knowledge about itself, which gave the player a chance to learn more about the world while viciously clicking away. 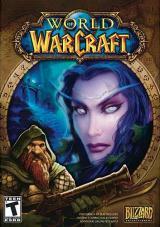 The addition of multiplayer and varied classes made it a game that was almost infinitely replayable. 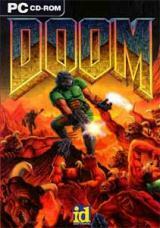 Synopsis: There had been some fun first-person shooters before 1983 but nothing established the overall popularity or format of the genre as well as id Software’s Doom. Nearly all the things that we think about with regard to first-person shooters was present in this highly influential game — amazing graphics, loads of gore, insanely powered weapons, monstrous enemies, deathmatch multiplayer, tense exploration, and of course, loads and loads of alarmed parents and teachers. It’s amazing to look back on the game and see how much Doom got right that first time around. Other first-person shooters may have improved on the overall presentation of the genre, but they’re all still laboring under the lengthening shadow of this early classic. Synopsis: Those of us who lived through the heady 1999 holiday season remember the escalating rivalry between the fans of Unreal Tournament and the fans of Quake III. Both games had their merits but in the end it was Unreal Tournament that edged slightly ahead in our opinion, garnering the highest review score we’d ever given at that time. 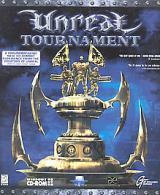 Sure, Quake III may have had the advantage in terms of overall graphics, but the sheer number of options in Unreal Tournament, and its wide range of interesting weapons and challenging levels (many designed by Cliff Bleszinzki) made it one of the year’s most played games around the IGN offices. Looking back on the title ten years later, we’re still impressed with the tremendous flexibility of the game modes, nearly seamless presentation and rock solid performance. Synopsis: Ion Storm’s first-person RPG gave the player power. Not just in the form of deadly weaponry, which was certainly present, but also over the game itself. In each expansive level multiple routes to the end were available. With hacking skills you could take control of security bots to wipe out enemy patrols, or if you concentrated more on raw firepower, you could blast your way to the end instead. With an intriguing science fiction storyline, vivid characters, plenty of ways to augment your character skills and armaments, and some really great level design, this game was as entertaining as it was thought-provoking. 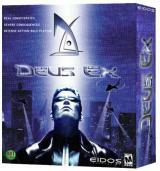 Ultimately, Deus Ex stands out for accommodating player desires for complex ways to control their gameplay experiences, instead of being forced along a linear path. An unforgettable experience. Synopsis: It may be hard for the younger crowd to believe but there was a time when LucasArts was known as the industry’s best adventure game developer. With a roster of superlative titles, the company had already cemented its reputation in the annals of gaming. Then they went one step further with a game that many consider the greatest adventure game of all time. 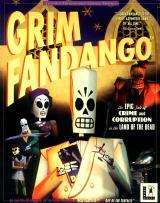 Grim Fandango succeeds on a number of levels. On the surface, there’s a tremendous concept for the world that involves a Dia de los Muertos aesthetic and a bureaucratic take on the afterlife. These are merely backdrops, however, for a compelling story full of memorable characters and a series of challenging puzzles that are so well integrated into the plot that you almost forget that you’re playing a game. Great music and genuinely funny humor round out the package nicely. Even if you don’t normally like adventure games, you’ll love this one. Synopsis: Fallout really had it all: dynamic, believable characters, a quality of narrative and storytelling too rarely seen in games, and the opportunity for players to drastically affect how events proceeded. It was a game that above all else recognized and rewarded the player’s free will. Fallout’s fiction and game world were vivid, its character development system deep, and it possessed an often hilarious tongue-in-cheek sense of humor. Peering past the post-apocalyptic science fiction surface, deeper cultural themes become apparent, echoing notions of humanity’s absurd fallacies hit on in novels like Walter M. Miller’s A Canticle for Leibowitz. Though games like Baldur’s Gate II: Shadows of Amn, Planescape: Torment and plenty of others are all worthy of the PC RPG crown, this 1997 release from Interplay is our choice for the top of the heap. 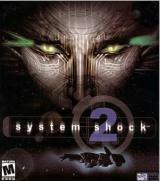 Synopsis: Looking Glass and Irrational Games’ System Shock 2 excelled in many ways, but perhaps the strongest was the genuinely frightening atmosphere that pervaded throughout every polygon. Pitted against a seemingly ubiquitous Artificial Intelligence with a singularly haunting speaking voice, your character had to escape the clutches of monstrosities and altered crewmates aboard the space vessels Rickenbacker and Von Braun. The game, like many others on our list, emphasized player choice over strict, predetermined progress. A widely varied and upgradeable skill set, as well as a large range of weapons and tools were at the players’ disposal. It was a game that demanded precision as well, where player decisions had noticeable and lasting repercussions, since items degraded quickly with use, ammunition was difficult to come across, and there were multiple ways of tackling nearly every obstacle. System Shock 2 wove together compelling storytelling, oppressive atmosphere, a wide range of abilities, and addictive first-person RPG gameplay to create an experience impossible to forget, and still remains one of the most cohesive, affective games out there. 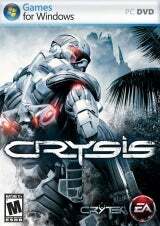 Synopsis: Crysis may be the newest game on this list, but it’s earned its position on this list. While Crysis is often noted for its bleeding-edge technology, it’s the way the designers used that technology to deliver better gameplay that’s more important. This isn’t just a prettier shooter; it’s an incredibly dynamic shooter that plays differently thanks to the decisions that you make in the heat of battle. There’s nothing quite like getting into a huge firefight with a North Korean squad and seeing the gunfire and explosions shatter the forest around you. Mastering the nanosuit lets you play as the ultimate predator, using stealth, speed, and strength to almost play with your opponents at times. And the game delivers an incredibly thrilling experience that keeps on escalating, whether it’s a gorgeous tank battle while the island is falling apart from you to an aerial sequence that has you dodging tornadoes in a dogfight. Synopsis: When you say the three letters RTS, there are a few games that immediately pop to mind. For millions of gamers, it’s StarCraft. 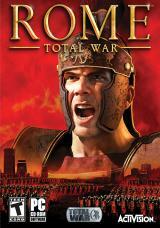 It remains as one of the most popular real-time strategy games played on the Internet around the world. For those of us that only revisit on occasion, there’s still an immense amount to love. StarCraft managed to create three wildly different factions in nearly all forms. Motivation, technology, and biology provided an amazing platform for a brilliant story and universe. Even more amazing was the ability to create checks and balances when none of the races shared units or even particular functions. Even the builder units acted much differently to fit the background of each race. The superb balance translated into enticing and addictive gameplay. The galactic war between the Terrans, Protoss, and Zerg proved to be one of the most entertaining pieces of software ever created and the sequel is still one of the most asked about games of the future. 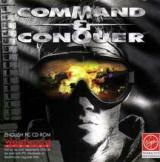 Synopsis: With over a dozen sequels on nearly as many platforms, the original Command & Conquer launched one of the most successful and popular real-time strategy franchises of all time. Players fought in a great war between the Global Defense Initiative and the Brotherhood of Nod over the coveted Tiberium. The two sides had very different strategic strengths, which made match-ups more than just a race to see who could build units the quickest. What really made the game shine though, was that you could play with up to four players online, which was almost unheard of and helped to cement the game in the emerging multiplayer environment. With all respect to Dune II and Herzog Zwei, this is the game that made today’s RTS games what they are. Synopsis: If there’s a modern game that shows the potential for tactic heavy strategy titles, Relic’s Company of Heroes is it. This is about as complete an RTS game as we’ve seen in history and will probably be the benchmark to which other new RTS titles are compared. There’s very little wrong with the game at all. It provided a stunningly exciting and interesting campaign nearly the entire way through, offered a wealth of skirmish and multiplayer fun, and did so with two very unique sides where none of the units ever become obsolete on the battlefield. Add masterful production values, sound composition, and brilliant visual effects and you’ve got one hell of an entertainment piece. 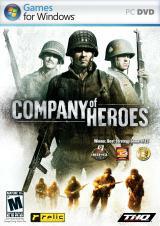 While a lot of the ideas in Company of Heroes have been taken from other games, they’ve all been polished so bright and shiny that most strategy gamers will keep wanting more. Synopsis: There’s likely to be a few people that have a problem with The Sims being on this list. Those people don’t consider that The Sims franchise is the best selling franchise in the history of gaming and appeals to all ages, sexes, races, species, and sexual orientations. There’s a reason that countless expansions have been released along with a sequel and several spin-offs onto consoles. 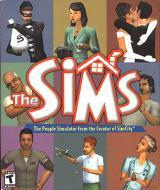 The Sims is a crazy phenomenon built on developer wackiness and player creativity. While there aren’t necessarily many goals to achieve in The Sims, Maxis offered up one of the most fulfilling sandboxes in the history of gaming and let the community run with it. It’s fun and incredibly important for bringing in a demographic normally reluctant to boot up a game on their PCs. Synopsis: You’d have to have been living in a cave on Mars for the last five years not to know about Blizzard’s World of Warcraft. The company, widely known as the creators of one of the industry’s leading RTS franchises, proved that it could crush the competition just as easily in the world of online RPGs. The subscription numbers (and server queues) alone are more than enough evidence of the title’s success, but if you need further proof, you only have to consider the inviting design, stylish graphics and richly storied, quest filled game world to see why its inclusion on our list of the best games ever is a foregone conclusion. While it doesn’t eliminate the grinding and downtime that are part and parcel of the MMO experience, World of Warcraft hides them better than most games and also offers up enough rewards to keep us questing long after we should have gone to bed. Synopsis: Before Will Wright created SimCity he worked on a town-down helicopter action game called Raid on Bungeling Bay, and he said he was inspired by that game to study urban design. We know what he meant, because we played Raid on Bungeling Bay in those early days as well, and we remember flying over those cities that he designed and trying to make sense of them, too. We all take cities for granted, but we rarely ever consider what it takes to create one, let alone nurture and grow it. And this is the brilliance of SimCity; for the first time we can take something as complex as a city and approach it through a game. But it’s also difficult to describe SimCity’s impact. Here was a game that appealed to the mainstream market, and one that was viewed as educational as well as entertaining. 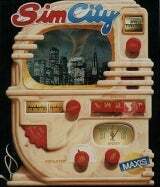 In many ways, SimCity changed an industry. 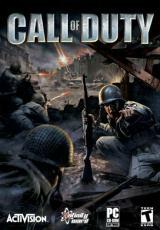 Synopsis: World War 2 shooters had been done to death when Infinity Ward honed the genre to razor sharp perfection with Call of Duty. From the initial paratrooper drops in the hours before D-Day to the final struggle for Berlin, gamers were instantly transported to a world that was at once both thrillingly cinematic and eerily real. The game’s realistic AI and squad based combat makes you feel more like part of an actual unit rather than a one-man killing machine. Add in some of the best sound design we’ve seen and Call of Duty is one of the most convincing and exciting simulations of FPS warfare we’ve ever seen. Better still, the game offers up a wide range of multiplayer battles that are still our first choice when it comes to online action. 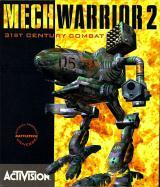 Synopsis: Though the first MechWarrior was released in 1989 and differed in its gameplay structure, it was the more straightforward MechWarrior 2: 31st Century Combat that really brought the franchise to popular attention. Fans of the BattleTech table top game were undoubtedly salivating in anticipation at this game’s 1995 release, but the title garnered more widespread tittering with its visuals which, at the time, looked fantastic. But the game was much more than that. It was complex, requiring management of various mechanized subsystems, allowed for tons of customization, and featured an epic storyline as you smashed through challenges as a Wolf or Jade Falcon Clan member. MechWarrior 2 gave players a real sense of power, rewarded digit dexterity across the keyboard, stood as a towering example of what a PC game could be, and how a dense game can still be sophisticated enough to appeal to a wide audience. Synopsis: Creative Assembly’s third entry in the Total War series represents some of the deepest, most polished, and addictive strategic gameplay out there. Fusing a 4X style overworld map with riveting real-time battles, there was a near overwhelming amount of expertly designed content to chew through. The A.I. always put up a challenging fight, making aggressive overworld map moves and employing effective tactics on the battlefield. Rome offered even more complex siege battles, cities whose appearance reflected the structures placed therein, a wide range of highly detailed units, and unprecedented sound design. This is one of those games that when you start playing, it’s near impossible to stop, and is certainly worthy of being considered one of the top PC games of all time. Synopsis: It’s hard to believe it’s been 20 years since we first played through Sid Meier’s Pirates!. Standing as one of the singularly most innovative and all-encompassing game experiences, the original Pirates! maintained it’s position as one of the most beloved games of all time. 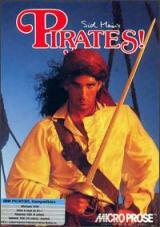 Fortunately, an exciting remake a few years ago introduced a whole new generation to the joys of virtual swashbuckling. Players choose whether to serve a European nation or whether to engage in a life of piracy and have to build their fortunes amid the turbulent waters of the Caribbean during the 17th and 18th centuries. Engaging in ship-to-ship combat and boarding actions, dueling with a whole cast of villains, trading goods and recruiting sailors at exotic ports, seeking out lost treasures and rescuing your kidnapped family members, romancing governors’ daughters; this game really has it all. Synopsis: It’s easy to think of the first-person shooter as divided by two eras that are bridged together by one game: Half-Life. Valve’s legendary shooter transformed the genre from an almost mindless, twitch-based experience into an incredibly rich and complex storytelling medium. The use of scripted events made it feel like you were the star of a $200 million Hollywood sci-fi/action/horror movie. The narrative never left your perspective, and the story unfolded in pieces. The designers brilliant use the environment as a storytelling device, and as you plunge deeper into the richly-realized Black Mesa facility you feel like you’re discovering a whole new world. 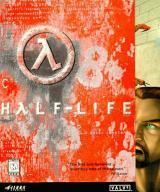 And for those of us who played Half-Life upon its release, you couldn’t shake the feeling that you were playing something revolutionary and memorable. Synopsis: If true addiction has ever had a name in the offices of IGN, its name was Battlefield 1942. No other game has inspired so many editors to give up their Friday nights in search of the perfect match in Stalingrad, Wake Island, or at the Battle of the Bulge. When you leave the office on Saturday morning and the sun is starting to come up, you know you have a good game on your hands. BF 1942 was that game. It was the perfect blend of action and strategy across large maps filled to the brim with different types of vehicles and weapons. There’s huge amounts of fun to be had whether you’re playing a serious match or just screwing around having jeep races between capture points. No, the game was not perfect, but it ushered in a new era of large team-based first-person shooters and showed how much fun the chaoticly comic nature of a video game battlefield could be. Synopsis: Plenty of Dungeons and Dragons based PC RPGs have come out over the years, but Baldur’s Gate II: Shadows of Amn had the biggest impact. Riding the surge of praise after the release of Baldur’s Gate in 1998, the sequel delivered an even more fully featured pseudo-turn-based combat system, expansive environments, a seemingly endless number of side quests, and a compelling narrative. If there’s a single element that makes BGII stand out, it’s character. The game had a truly sinister, multi-faceted villain, as well as some hilarious NPC companions. Take Minsc, for example, a brash fighter who frequently consulted with Boo, his trusty hamster companion. If you never bothered with this when it first came out in 2000, you should pick up a copy this instant. 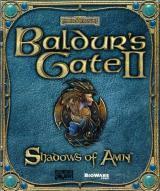 It may not look so good anymore, but it’s still one of the best RPGs ever made. 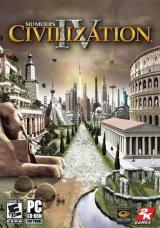 Synopsis: One of the Civilization games was absolutely going to be in the top 5 in this list, it was just a matter of which one we chose to occupy the spot. For years, it was largely understood that Civilization II was the best in the series offering up complex strategy in a palatable and even graceful format. Some out there would probably still argue that it’s the best of the bunch, but we decided the latest went above and beyond that great title with more improvements than can be counted. From the revamped damage system to the diplomatic improvements and inclusion of religion, Civilization IV provides the most addictive 4X experience on the market. Even worse for those of us incapable of quitting to desktop is the inclusion of a very workable multiplayer solution. Turn-based strategy has never been easy this way, but Firaxis managed to make it easy, make saves work, and make it easily as much fun as the single player if not more so. Civilization IV is a brilliant game. Synopsis: Fans of space combat games will always have a soft spot to games like Wing Commander or Elite, but no game before or since has captured the drama and action of the genre as well as TIE Fighter. Benefiting from the lessons learned from the X-Wing game that launched the franchise, TIE Fighter boasted some of the best flight mechanics and mission design ever seen in a space combat game. Long before Knights of the Old Republic gave us a chance to see what it’s like to serve the Empire, TIE Fighter presented the opportunity for the player to become the villain. The Collector’s Edition went one better by adding improved polygonal graphics and brilliant sound design. There have been a few imitators since this classic game was released, but none have come close to delivering the excitement and joy that we still find running secret missions for the Emperor. Synopsis: It may be old as hell and you may have to actually disable DirectDraw to get it to run these days but there’s still no PC game that can compete with the mighty X-COM. 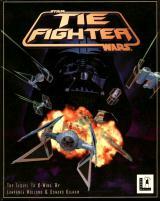 Conceptually it’s one of the finest strategy games to ever appear on any system. 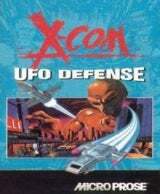 Putting the player in charge of a worldwide defense against an alien invasion, the original X-COM combined elements of sophisticated base management, high-tech research, engaging roleplaying, thrilling tactical combat and a tense, terrifying story to create an experience that has yet to be duplicated by any other game. Leading your squads on missions to reclaim crashed UFOs or fighting house to house in an effort to repel alien terror attacks on major cities throughout the world were the highlights of the game but X-COM has plenty of other pleasures in store, from juggling personnel and equipment to keeping the nations of the world happy enough to sustain your budget. Simply put, there’s no excuse for strategy fans not to break this one out and play through it again. World of Warcraft Virtual Store:Azeroth is finally invaded by pets. Despite its vast sea of subscribers and a balance sheet that would make even John D Rockefeller sit up and take notice, you can’t fault Blizzard Entertainment for wanting a little bit more. Today the company is taking steps to make World of Warcraft even more profitable with the addition of an online pet store. For ten bucks players can buy either Lil’ K.T. or a tiny Pandaren Monk. Lil’ K.T. is a mini-version of the big bad Lich currently featured in the recent expansion. Though he may be small, he’s still intimidating and offers a unique way to mock the enemies you defeat in PVP encounters. 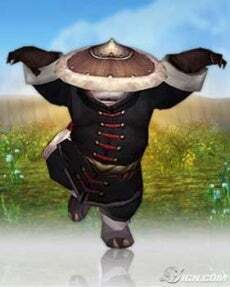 The Pandaren Monk is a bit classier, returning any bows made to him by other players and practicing his kung fu moves in his off-hours. To further demonstrate his moral superiority, half of all the proceeds from the sale of the Pandaren will be donated to the Make-a-Wish foundation. 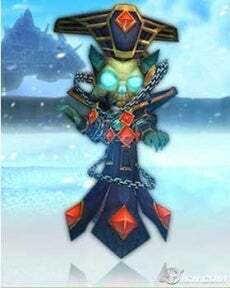 Players who purchase either of the pets will be able to use them for all current and future characters associated with their World of Warcraft account. If you want to use the pets for multiple WOW accounts associated with the same Battle.net account, you will have to buy separate versions for each World of Warcraft license. Locked away in a hotel during GDC this year, Funcom, the developer behind Age of Conan, was displaying the very first gameplay footage of their upcoming massively-multiplayer online role-playing game (MMORPG), The Secret World. Today, we can finally talk about what we saw. For those who haven’t been following TSW, it’s a gear-centric MMO with three factions, no leveling up and no classes. Instead, players earn new skills and abilities to use, in a similar manner to Guild Wars. 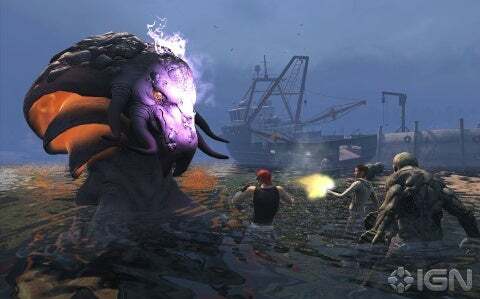 Set in real-world locations – New York City, Seoul and London – as well as pseudo-real-world locations – the fictional town of Kingsmouth, New England, for example – Funcom’s focus for this game is to deliver a very story-driven, very open MMO to the masses. Their technique for this, at least in part, is to give each quest a certain amount of significance, by delivering it through an in-game cinematic. “We’re really trying to do something new here,” Martin Harsheim Bruusgaard, lead designer for TSW told us. “Story and MMOs have not always been the best of friends.” Few would argue. While it’s true that there will be your standard MMO quests – Kill X monsters, gather Y objects etc… – having the quest instructions coming from a voice-acted character, with spiffy camera angles and neat scripted events makes what would be a standard grind feel more important to the world of the game. Of course, whether each actual quest can continue that feeling of importance remains to be seen. I love(craft) this guy! Thank you! I’ll be here all week. The example we saw showed a flannel-wearing, gun-toting character standing near a truck, somewhere in the fictional town of Kingsmouth, giving us some…suggestions. Something had swept through the town and slain the majority of Kingsmouth’s population, and that same thing was causing the dead to rise as zombies, driven for whatever reason to kill the few that survived the initial wave of deaths. Killing zombies seemed to be easy for the townsfolk, but keeping them dead was another matter entirely, for they rise again only hours later. This armed individual near the truck asked the player to seek, and attempt to destroy, a number of zombies, in the hopes of finding a way to keep the dead dead. Or making them deader. Or maybe less dead. Which leads us nicely into the way combat works. Players can have seven active and seven passive abilities equipped at any one time. The passive abilities play a large part in determining what kind of role you’ll play in a group, as these are the kinds of abilities that alter the amount of damage you take or deal, and give special tweaks to your active abilities to make them a great deal more potent. A spell that might normally heal a person could be enhanced to also raise them from the dead, for example. Abilities are also “state based”, meaning certain abilities will check for an enemy’s (or ally’s) status, and may act differently depending on what it finds. 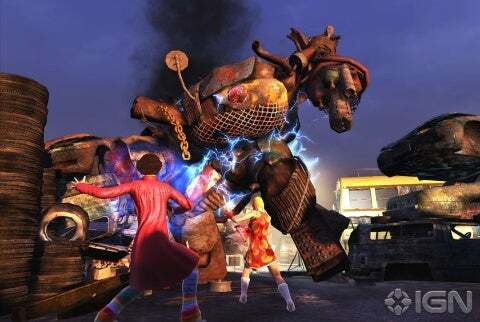 A caster-type character dealt a fire attack that set a group of zombies alight, while the healer-type character used an ability that dealt damage over time on one of those same zombies. If this damage-over-time ability kills an enemy that is on fire, it causes that enemy to explode for large damage. In this way, the two characters were able to maximize their effectiveness, but there’s nothing stopping one character from having both the damage-over-time ability and the fire ability. The combat was shown mostly from the perspective of the caster-type character – a goggled teenager in urban clothes. Much of what we were shown involved this character running backwards as he kited zombies into his spell-radius. In his team were two others, a healing female character, and a male “tank” style character, built for withstanding damage while keeping the enemy focused on him. Interestingly, the tank was equipped with a shotgun – traditionally, tanks are close-range. We have to admit that the combat seemed a little confusing and overly chaotic, but the game is still pre-alpha (meaning it hasn’t even really undergone internal testing) and has a long way to go before it’s even close to being complete. It’s a fair assumption that combat will be the focus of much polish before the launch draws near. That said, it may also simply be the types of enemies they were dealing with, as later, when the group took on some bosses, combat seemed tighter and looked, well, more fun. We saw three bosses in total; an enormous draug with two beefy crab-arms, and a less-beefy man-arm, a mechanical junk-yard monster that , although it was killed, managed to also take out one of the group members, and my personal favorite, a Cthulhu-esque sea monster that shot orange goo and was capable of floating into mid-air to release what we could only assume was a powerful area-of-effect attack. This particular guy you can actually see at the end of this teaser. Despite all the grouping we saw, most quests are designed to be completed on your lonesome. You won’t get penalized for running around together of course; they’re just tuned for the solo player. Quests aren’t the only means of storytelling in The Secret World. Funcom are employing a rather interesting technique wherein players enter “mini dungeons”, which are basically instanced dungeons designed for the solo player. These dungeons allow the designers to make intricate scripted events that push the story forward for the player, and allow for scripted battles that would become clumsy or overly easy in a group. Talking to non-player characters and quest -givers is reminiscent of Everquest 2, in which dialogue and options appear next to the character, as opposed to in a dialogue-window. In The Secret World, the options are made to appear sort-of iPhone-y, as though players are looking through an overlay. The effect is actually quite neat, and will feel immediately familiar for a lot of people. This monster is garbage! Badum-tish! With no levels, characters grow solely through the abilities they choose to train and their gear. Bruusgaard tells us that there are literally hundreds of unique abilities, and for players who feel overwhelmed, the game will suggest which powers you should use if you know what kind of role you want to fill. Alternatively, players are free to choose whatever skills they want and have no specific role at all. Abilities don’t “rank up” at all – they only grow more powerful with your gear – so players will be hunting down every powerful item they possibly can. It also means, however, that players could theoretically sneak into the later stages of the game as a group and take down foes more powerful than they should, as most MMOs use levels as a way of limiting players from skipping content. Choosing one of the game’s three secret societies or factions – the Dragon, the Illuminati, and the Templars – determines who is an ally and who is an enemy, and according to the fact sheet we were given, players can rise through the ranks of their secret society, though this was never really touched upon. All three factions progress through the same areas in the same order, which could potentially lead to either awesome or horrible Player-versus-player combat. The size of the world will likely alleviate PvP headaches, though, as a fly-through of a small portion of Kingsmouth showed us just how enormous that single zone was. Players will have plenty of room to frolic and slay the undead. What’s a good encore after winning two gold medals at the Vancouver Olympic Winter Games? For one of the world’s most accomplished cross-country skiers, it’s playing alongside his world champion counterpart in Counter Strike at Norway’s largest LAN party. 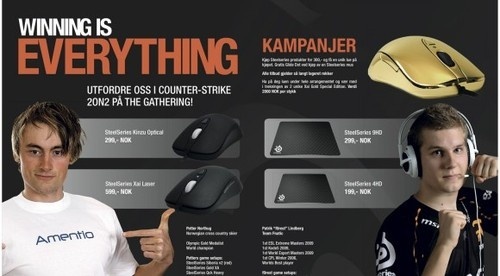 Petter Northug (pictured, left; you can see his translated gaming profile here) will be taking on all comers in 2-on-2 Counter Strike matches at “The Gathering,” to be held over Easter. While Petter’s golds weren’t in biathlon (that’s skiing with the pew-pew-pew) he does look to be a serious shooter enthusiast. Further, his partner for this promotion will be Patrik “f0rest” Lindberg (pictured, right) of the clan Fnatic; Lindberg is a world champion in his e-sport. Northug was last at The Gathering in 2007 playing with Team Amentio, a clan named for one of his sponsors. 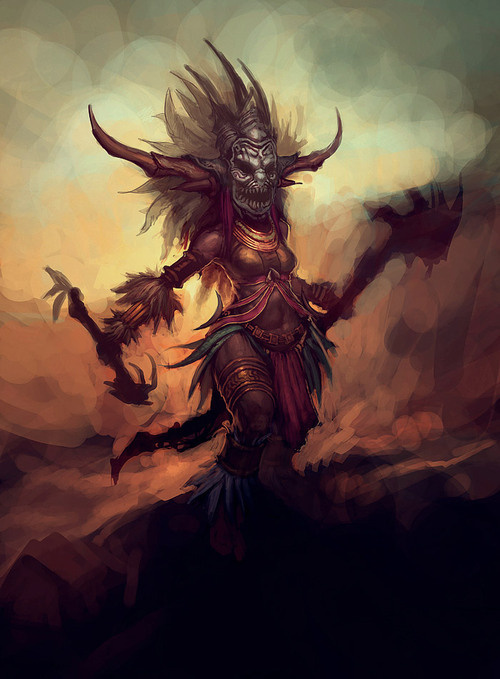 As with other classes in the game, there are two gender options for Diablo III’s Witch Doctor. We saw the male one months ago, but the female one has only been revealed today. So let’s take a look. While her feathered in-game model looks a lot like that of her male counterpart, the Witch Doctor’s less armoured side shows someone about as far removed from your typical fantasy dungeon setting as you can get. With all those feathers and white body-paint, it’s hard not to think about Monkey Island’s Voodoo Lady.